Residents of Sanford, Florida, greeting the arriving "Nina", a reproduction of one of Columbus' ships. Located on the south shore of Lake Monroe at the headwaters of the St. Johns River, Sanford, Florida (population 49,250) was originally settled in 1837 due to the desirability of the location as a military encampment. Upon the growth of commercial steamboat service, the area became a distribution point for all sorts of goods and was essential to the growth of central Florida. Sanford soon became the region’s leading steamboat and railroad hub for citrus shipments, and by 1884 Sanford was a prosperous town with wharves, a railroad station, and a 200-room hotel. After a large fire in 1887 destroyed much of the downtown commercial district, the buildings were rebuilt using brick. Many of these buildings survive and comprise the city’s commercial National Register Historic District. In April 2006, the Sanford Welcome Center was opened in the heart of the historic downtown. It is located in the old post office building and offers visitors information about the city’s attractions, including heritage trails. The Sanford Museum is among the oldest municipal museums in Florida. 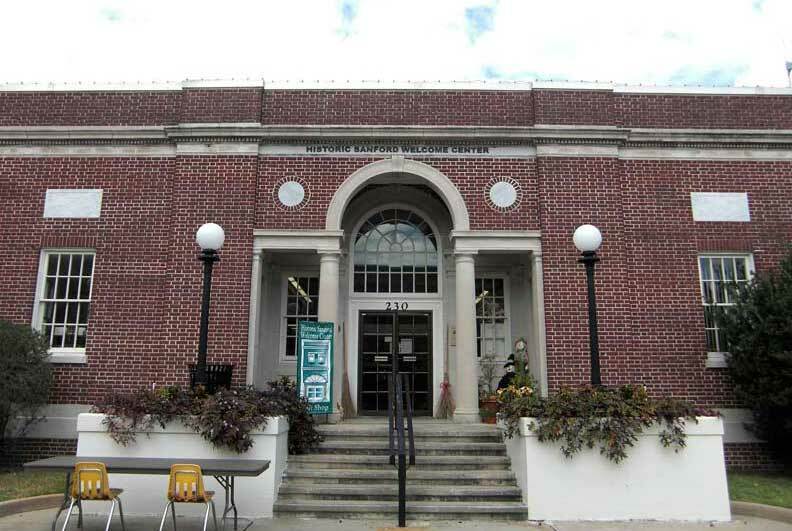 Established in 1957 as a memorial to the city’s founder, Henry Shelton Sanford, the museum showcases features such as a local history exhibit, photograph collection, and genealogical materials. Henry Sanford played key roles in espionage during the Civil War and is considered the founder of Florida’s citrus industry. In addition to two districts listed on the National Register of Historic Places, the city of Sanford and the Historic Preservation Board also maintain two locally designated historic districts offering activities and resources. The Sanford Historic Trust has created a walking/driving tour, an annual tour of historic homes, and each year during Preservation Week recognizes outstanding preservation efforts by Sanford homeowners and residents with awards.